If potatoes were our only means of survival what did we live on before potatoes were introduced to Ireland? Hi Warren – We lived off the land – growing grains and raising cattle. Before the 1600’s the Irish had control of the farmland, so they grew all their own food. 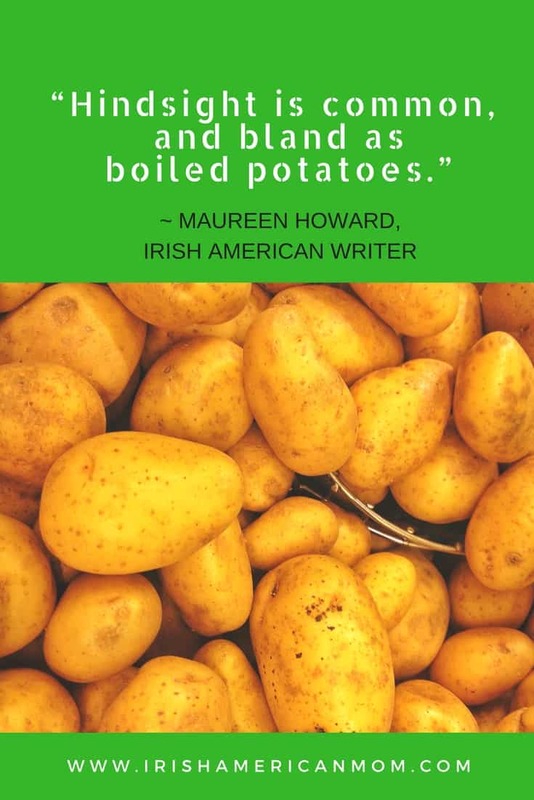 Potatoes were introduced by the English and adopted as a consequence of the landlord/tenant arrangements that happened in the wake of the settlement of the land by the English and the displacement of the Irish off their lands. 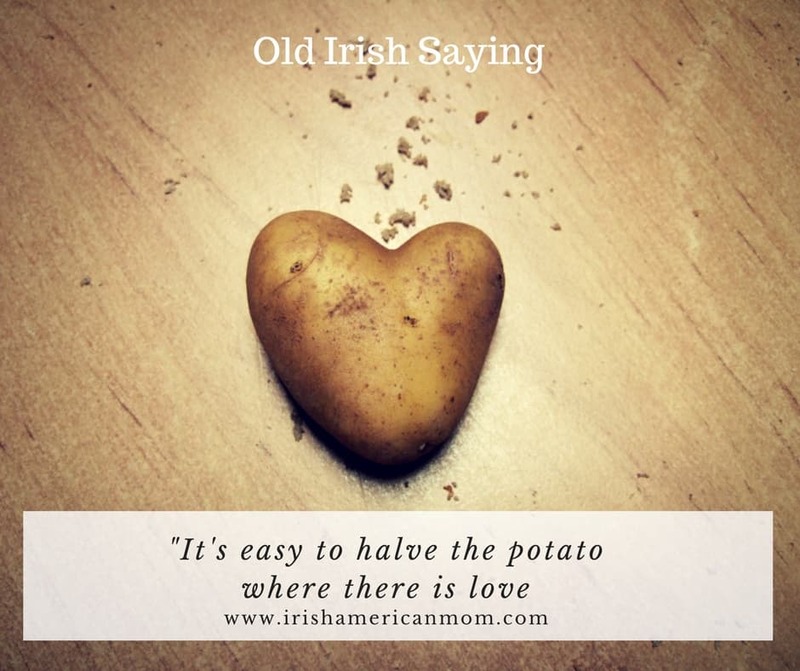 As leased acreage grew smaller and smaller for Irish tenant farmers the potato was the only crop that could grow abundantly on a small amount of land, thereby allowing the Irish to feed their families. They did grow grains but this was sold to pay the landlord’s rent. I love your potato ramblings! Thanks for sharing. And thank you, Jeff for stopping by to check out my ramblings. 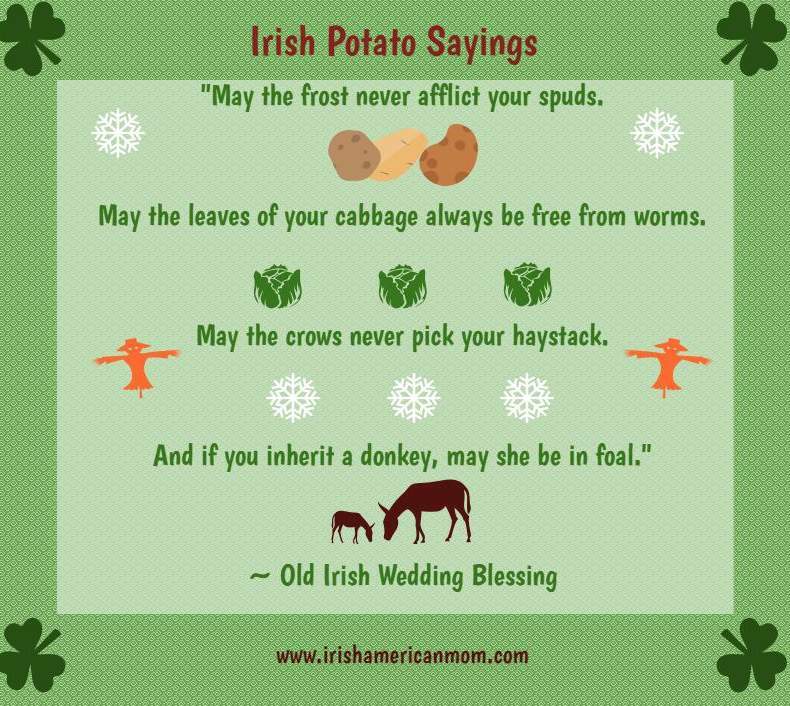 Thanks for all the delightful potato sayings! And I always wondered if it is true, that the eyes will make you sick! My mother always emphasized this! And I never tested it to find out! Hi Maury – I too was always warned about the eyes making you sick. I’ve never personally tested my mother’s advice but I do believe the eyes produce a toxic substance. Better to be sure than sorry. They do indeed produce a toxic substance. Potatoes, tomatoes, eggplant are all in the Deadly Nightshade family, genus Solanum. The green is just chlorophyll in the skins and in the eyes, but as soon as plants in this genus produce chlorophyll, they are also producing solanine and chacoline Those are toxic. Thanks so much for confirming this fact for us Michael. I really appreciate this new information. Our ancestors were very wise. They may not have been able to put a scientific name on the problem, but they knew of the dangers. Potatoes are good for friends and foes! Just made that one up, you can tell. L OL! Hi Kay – Your saying may be new, but it’s a good one. Thanks so much for adding to our potato banter. Hi T. M. – Love your grandmother’s old saying. It’s perfect for our collection. For anyone who would like to read the complete poem take a look here. 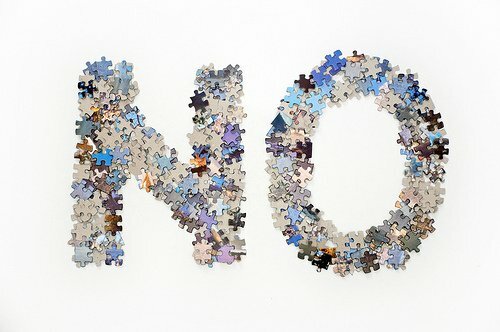 Thanks for sharing the link to Lindsay’s poem, IAM. The poem is included in a children’s poetry anthology titled “Silver Pennies.” The book is long out of print but is wonderfully illustrated with pen and ink line drawings. “Silver Pennies” was a part of my literary childhood. Years ago when my daughter was a child, my wife located a copy and gifted it to us at Christmas. Now I have grandsons and the elder of the two has his favorite poems in the book, one special poem, of course, is “The Potatoes’ Dance.” Children love the lilt and rhythm of poems and those who are deprived of poetry sadly lack the magic it provides. My six year old grandson already has a few poems memorized. 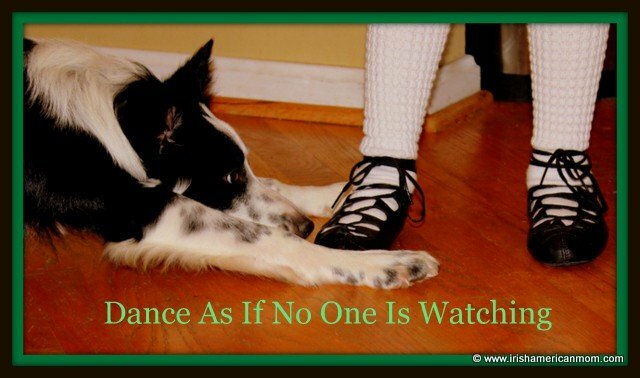 Another of his favorites…a limerick ( now there’s a post topic for you). 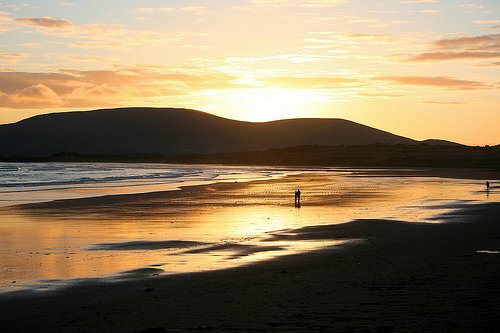 Mairéad, loved hearing from you as always. So often, sayings seem odd when we’ve lost the background. The only bad part I know in a potato is the green that can be on the skin (if grown uncovered) or the new growth. Might a potato stored in daylight start to green at the eye and be the problem. I’ve been eating whole potatoes since childhood and I’m still here. Me too, Gene. I’ve probably eaten a few thousand pounds of potatoes over the years, and I’m still here to tell the tale. 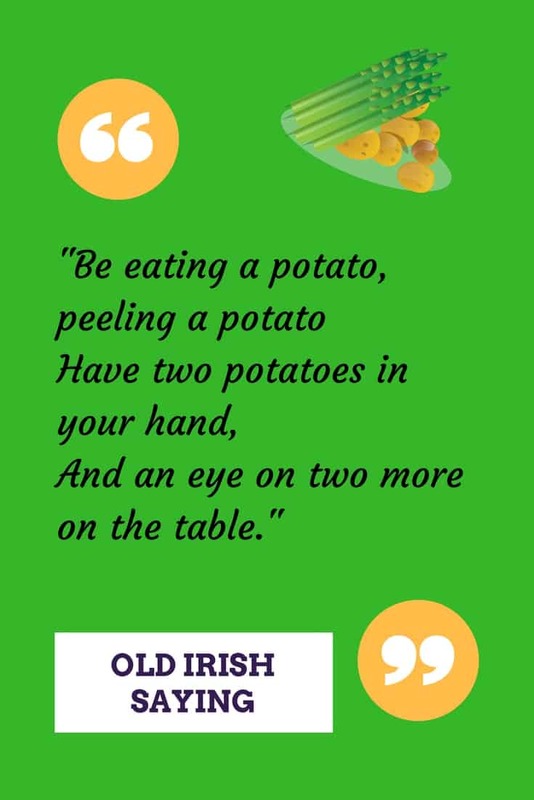 Mairéad, who would have ever guessed there could be so many sayings about potatoes! 🙂 I’d never heard about the eyes and spouts causing sickness before. Wonder if it’s true or just an old wives tale?? Blessings to you! Hi Cheryl – I believe there is scientific backing for this old wives’ tale about the eyes and sprouts. Apparently they contain glycoalkaloids which are not very good for us. 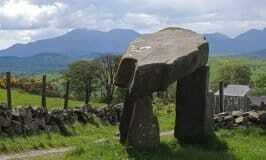 Our ancestors were very wise even if they did not know the exact reasons for their advice. Love all this tato talk! 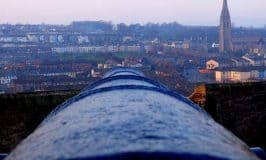 Some of my fondest and comforting memories of growing up include the peelin’ of the spuds when my Cobh born Dad came home from work…often earlier than Mum…and the smell of them boilin’ away! Doesn’t seem to me that we had a meal without them…mmm! Much of what you wrote, Mairead, I haven’t heard before…and thank you so much for providing the audio! It is truly hard to get anywhere with the Irish if you don’t hear it. I have a little app on my phone called Duolingo and I try to have my lesson in Irish everyday. Maybe some of you may be familiar…but if you are not, you might enjoy it as much as I do ! The audio makes all the difference! TMJ…I 100% agree with you about the lilt and rhythm of poems. Correct me if I am wrong, Mairead, but I believe the Irish for “read aloud” is leamh os ard…and I think reading the rhymes or poems aloud when you are alone or with someone makes a huge and wonder-full difference! Thank you, Mairead, and God bless you! 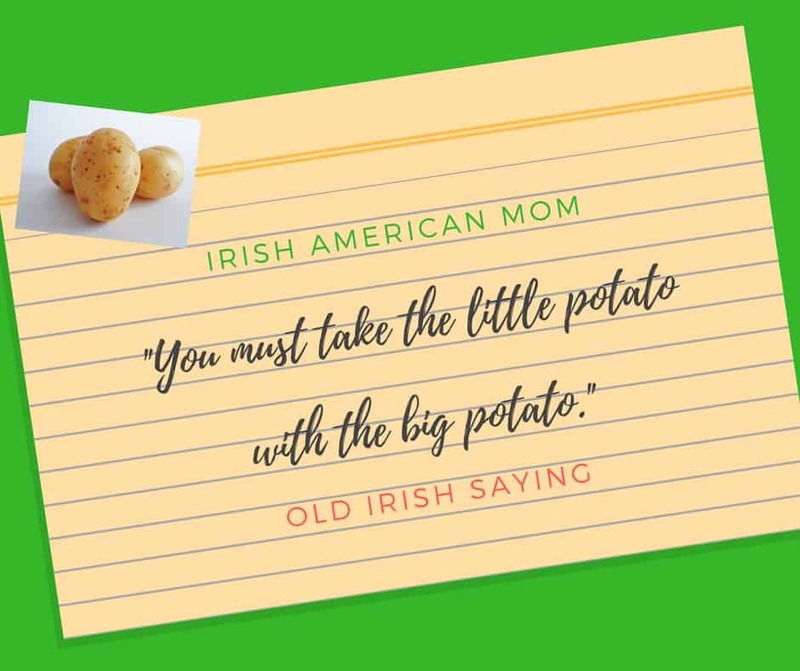 Hi Irishnannie – Like you I don’t remember a childhood meal without potatoes. They were always on the menu. My kids are using Duolingo to learn some Irish. It’s wonderful. You are absolutely correct that “read aloud” is “léamh os ard” in Irish. As children we read aloud quite a bit at school and we learned many poems off by heart. Education has changed quite a bit and children don’t learn by rote anymore. Growing up, we always had potatoes in some form for every meal, often just boiled and buttered. 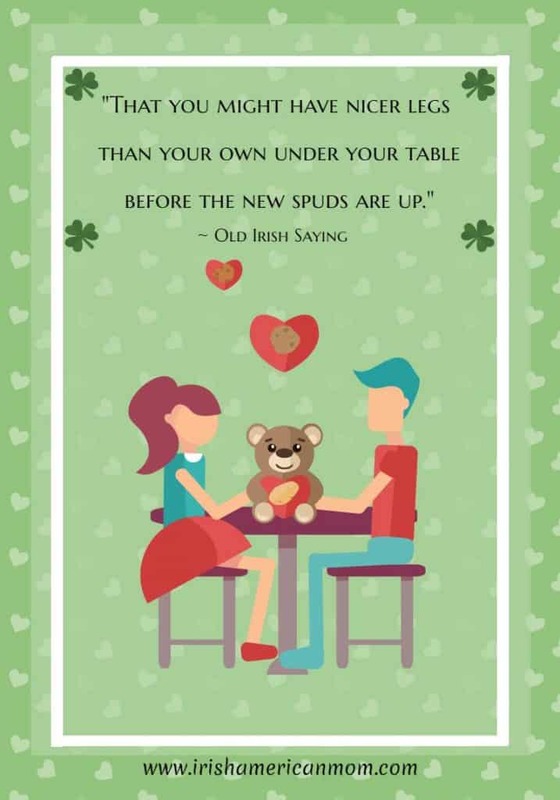 When I got married, my mother gave me this advice: “If you are ever late getting home, quickly put a pan of potatoes, peelings and all, on the stove to boil. It gives the impression you’ve been cooking, and a meal is in progress.” Then you can figure out what else will work with the potatoes. It’s a little psychological cue that puts you in cooking mode. My mother knew more ways to prepare potatoes than anybody I ever heard of. Hi Robin – Thanks so much for sharing your family story. I love your mom’s advice. A pot of spuds and your half way to a great dinner.